Send gift certificates instantly or later for a perfectly timed delivery. It's fast and easy! Give a unique gift that is certain to produce memories that last a lifetime. When you love what you do like our committed team, striving to exceed expectations and provide a great experience is what drives us. With a combined 10+ years of tourism experience and consistently high rankings on TripAdvisor (currently No 1), we know the best places and ways to make your tour the memory of a lifetime. 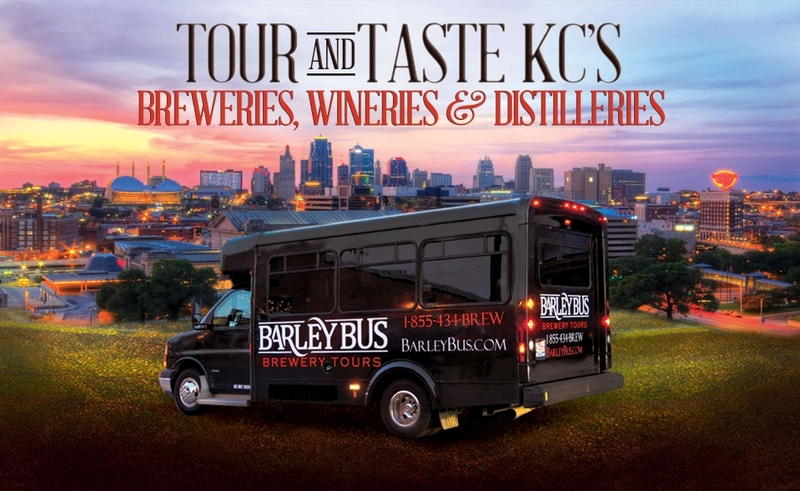 Barley Bus Tours was founded by Todd Abrams & Jake Morgan, two native KC residents and life-long friends. Their years of experience and knowledge work to give you insightful tours that highlight KC's history along with appreciation of KC's breweries, wineries & distilleries. Our groups max out at 14 people. We’re firm believers that a small group is the best way to get to know KC's award-winning breweries, wineries & distilleries. However, we also excel at Private Tours. It doesn't matter if your group is 8 or 80, we have a tour for you! Please use the email to the right to drop us an email. Old fashioned phone calls work too 1-855-434-2739.